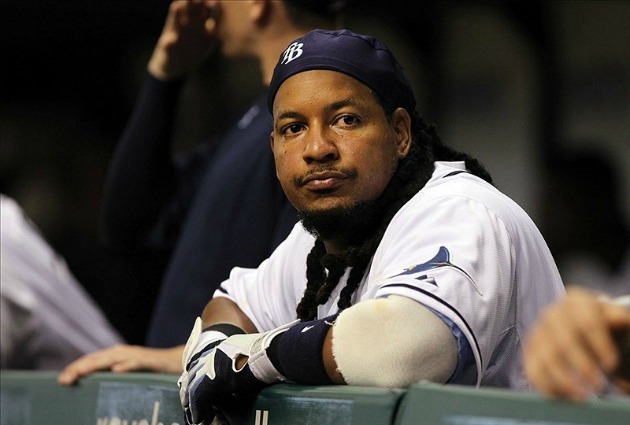 The last we heard from Manny Ramirez, he was trying out for a Japanese team that “didn’t go well.” Prior to that he wanted to play baseball in the Dominican winter league, but Major League Baseball would not allow it when he was still facing his 100-game suspension. But now Manny wants another shot at the big leagues, and Major League Baseball is accommodating him by reducing his suspension to 50 games. The reduced suspension is a compromise by MLB and the players’ union, who argued that Manny had effectively served his suspension last season after he retired from the Tampa Bay Rays. But will anybody want Manny? He is strictly a DH these days, so that eliminates 16 teams. And it is highly unlikely that the Rays or Red Sox will want to knock on that door again. One possibility is the Orioles, where Dan Duquette was recently named general manager. Duquette was the GM in Boston when Manny was signed. But the Orioles are not a contender. Would they be willing to sign Manny and then wait out his 50-game suspension? If so, we might see Manny back at The Trop in 2012. And we have a feeling it won’t be a warm reception. I am not big on boo-ing -- for example, I would never boo a Rays player who was simply playing poorly. But if Manny were to come to town, I'd be boo-ing loudly and maybe even throwing a rotten tomato or two. He's got some nerve, trying to slink back in to the MLB after his unbelievable lack of professionalism last year. I never boo at any of my own team's players, and I would rarely, if ever, boo at any player or official for that matter. But I might make an exception this go around as well. It would be boo towards Manny and also MLB for agreeing to shorten his suspension. That's how i see it right now at least. Just last year? I doubt even Duquette takes him with that young club he has or anyone else. I think it is truly a non-story. But if someone did take a shot at him and he did come back to Tampa (oh, sorry, St. Pete) then I could be persuaded to have a battery tossing contest with 36,000 of my best friends!! Give the man a chance to see what he can bring to the game.also a little gift for his fans, he is little coco, but he has a lot of fans out there.